Mr. Rocco Luisi is Chief Legal Officer of Integral Board Group, LLC and a member of our Board. He is also a Partner at Jaffe & Asher LLP, a full service civil law firm spanning a broad range that includes commercial litigation, creditors' rights, bankruptcy, real estate and real estate finance, general business and corporate transactions, family law, insurance, and civil appeals. Throughout his career, Mr. Luisi has successfully helped businesses and high net-worth individuals by litigating business disputes before state and federal courts nationwide from inception through trial. He also has extensive appellate experience. His successful cases have involved a variety of legal issues, such as shareholder and partnership disputes, breach of contract, tortious interference, unfair competition, real estate, false advertising, fraud, employment discrimination, restrictive covenants, insurance coverage, and injunctive relief. 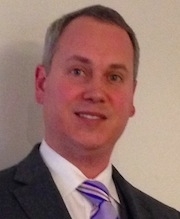 Mr. Luisi specializes in navigating his clients through the morass of “corporate divorce”: businesses break ups, typically caused by family disputes, shareholder freeze-outs and theft of business assets by an owner. He also specializes in the enforcement of multi-million dollar judgments and has helped his clients successfully collect from debtors who hide and fraudulently transfer assets nationally and internationally. Mr. Luisi graduated from Gettysburg College and Seton Hall University School of Law, where he served as the Editor-in-Chief of the Seton Hall Law Review. He is admitted to the New York, New Jersey, and Pennsylvania Bars, and has been admitted pro hac vice in various courts around the country.